Our first batch of C-MARC™ Wire and Cable has now reached the cryogenics lab and is being processed as you read this. 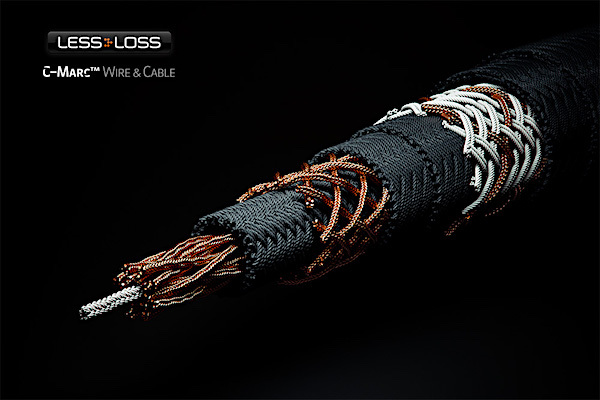 The process carefully lowers the temperature of the cables down to below 180 degrees Celsius, but in order to prevent any structural harm, the process is controlled very meticulously via computer and lasts several days. The idea is that through this process, internal structural tensions, both as a result of wire manufacture and cable braiding, are relaxed. Specific rest temperatures are chosen according to the material being processed, in this case copper. Admittedly, it is somewhat of a black art, but because the results are so audible and bring so much to the end result, who are we to argue? T​he effect this process has on the resulting sound quality is that of more fluidity. Music tends to present itself in a more sonorous, melodious fashion. This difference in performance is permanent. It may be that the same results can be achieved through years and years of burn-in under normal operating conditions, but if we can get it in a week, we're not going to keep you waiting! We want it ourselves, and what's good for us is going to be good for you, too. ​From time to time we make custom distributors for our customers. We recently teamed up with a new woodworking business, meaning that we can now make distributors which look stylistically similar to the smaller Firewall modules. ​This distributor can house up to six stacks of Firewall modules, each stack can be up to 50 units high, for a total of 300 possible Firewall modules onboard. We include internal wiring made from C-MARC™ Hook-up wire as an option, and can even make the device such that in future it can be easily opened without damage and upgraded with more Firewall modules within. Inquire about your own custom distributor with integrated C-MARC™ wiring and Firewall modules onboard. The results are splendid!